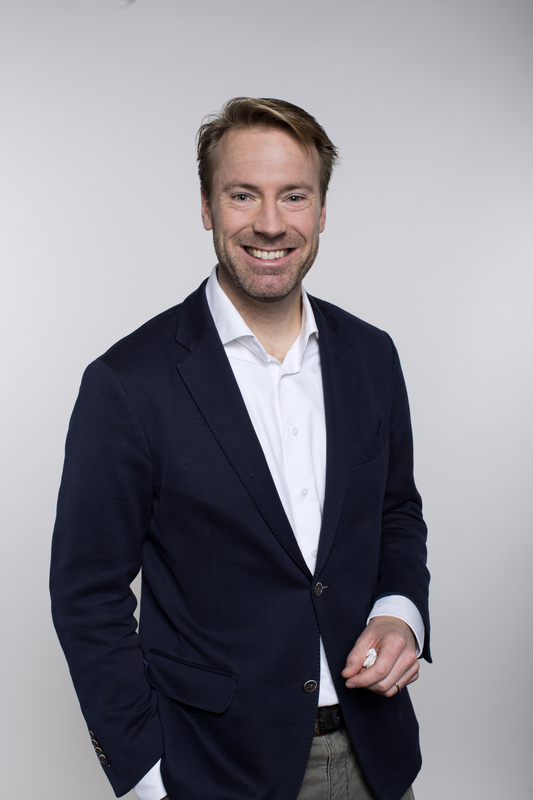 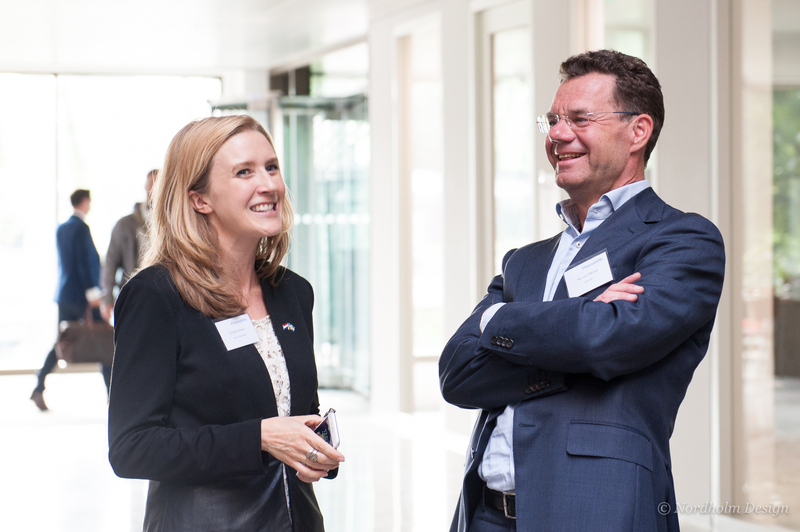 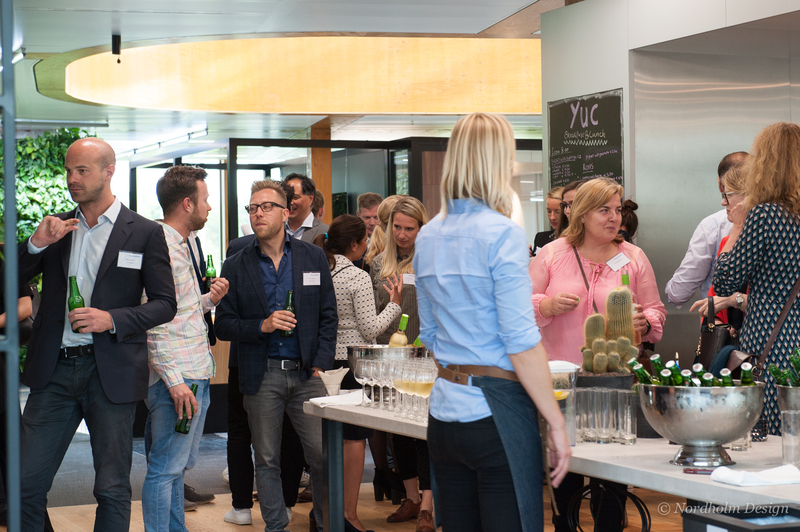 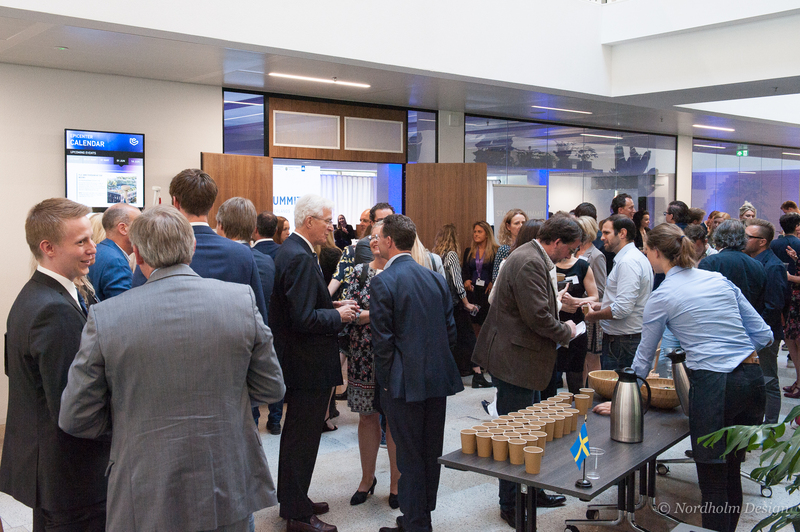 What are the key factors behind the thriving startup sectors in Sweden and the Netherlands? 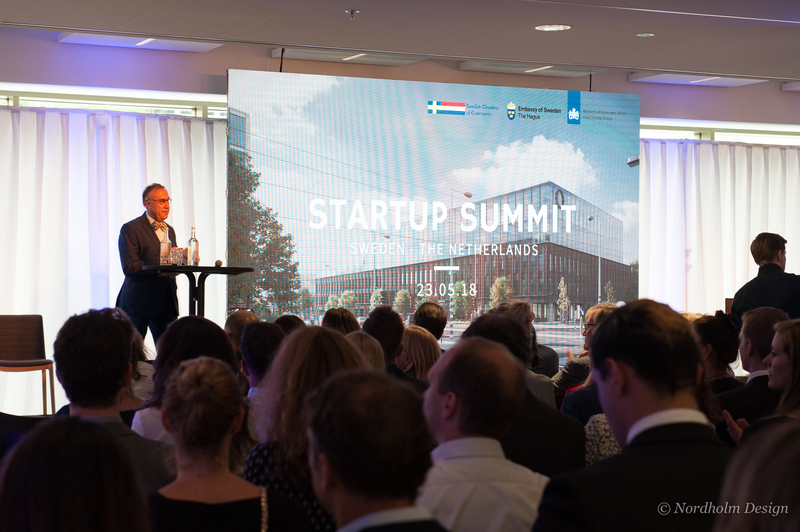 In both Sweden and the Netherlands, the startup sector is booming. 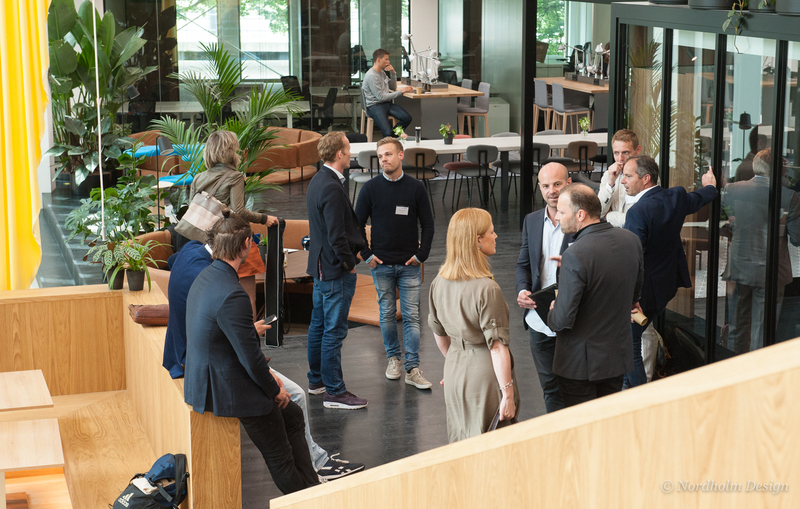 According to the Startup Genome ranking the Stockholm and Amsterdam startup ecosystems were both ranked top 20 globally. 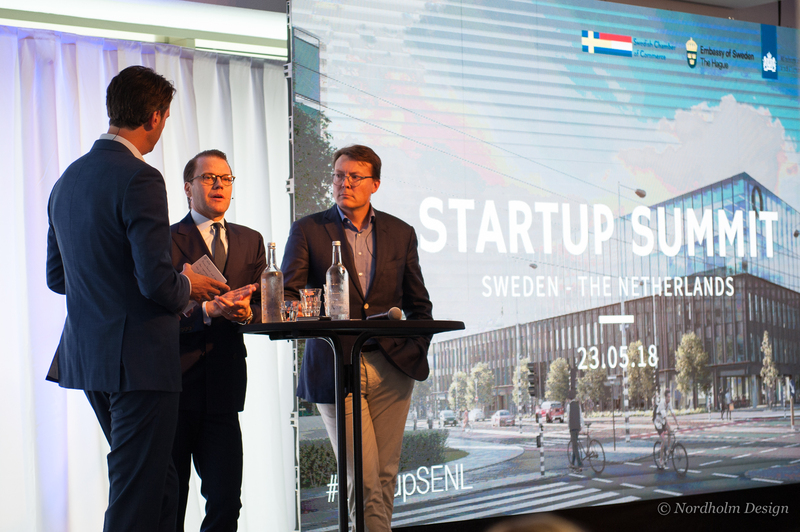 During the high-level Startup Summit speakers discussed the factors behind the thriving startup sectors in both countries, and how a long-term collaboration can lead to an even better performance of our startup-ecosystems. 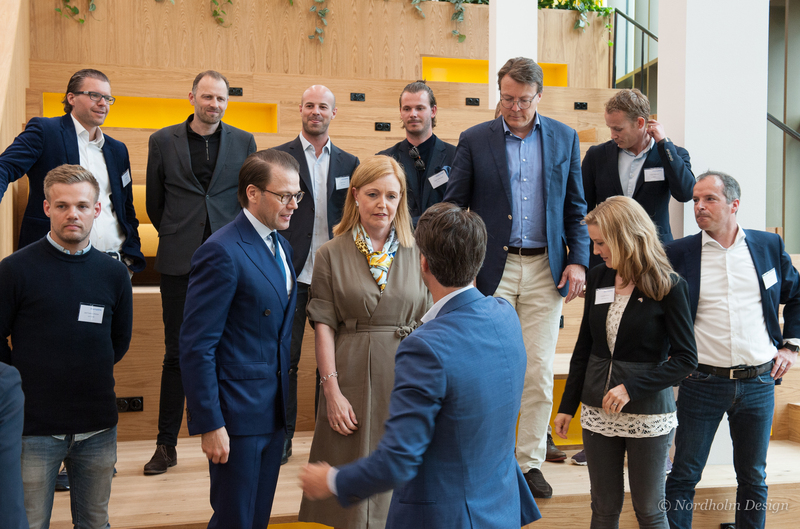 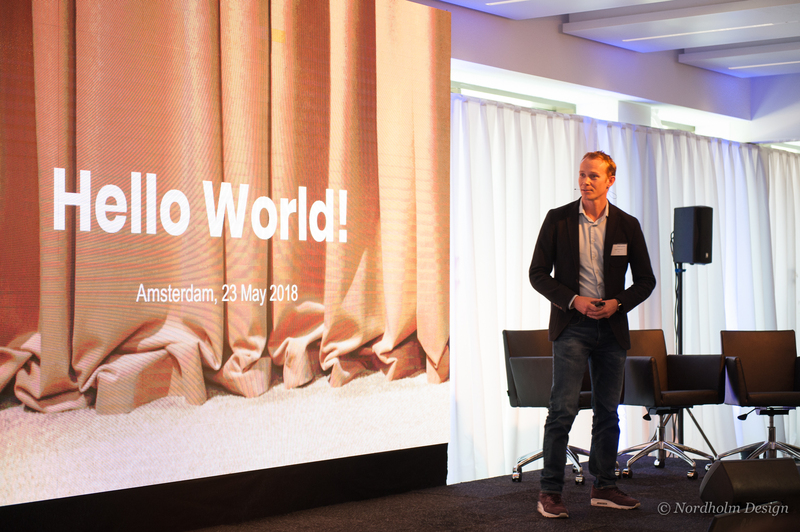 Prince Daniel of Sweden and Prince Constantijn of the Netherlands honoured the event and made introductory remarks about their view on the importance of startups and what the countries can learn from each other. 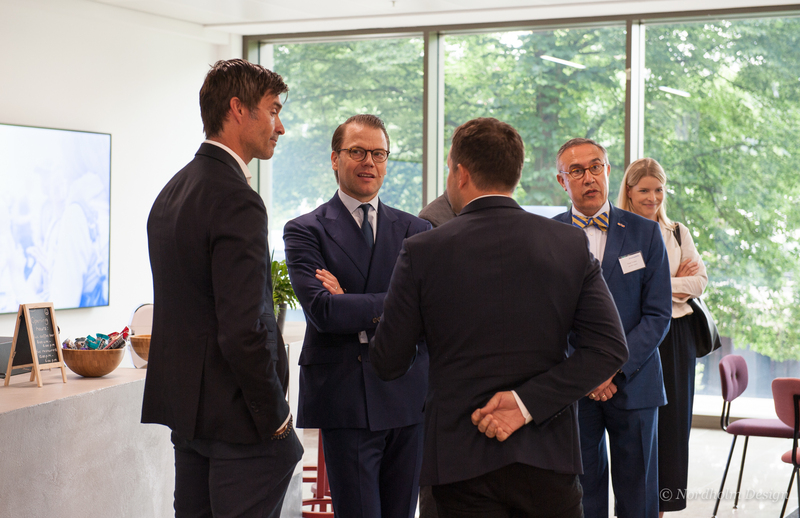 The two princes were invited due to their engagement in entrepreneurship and startups. 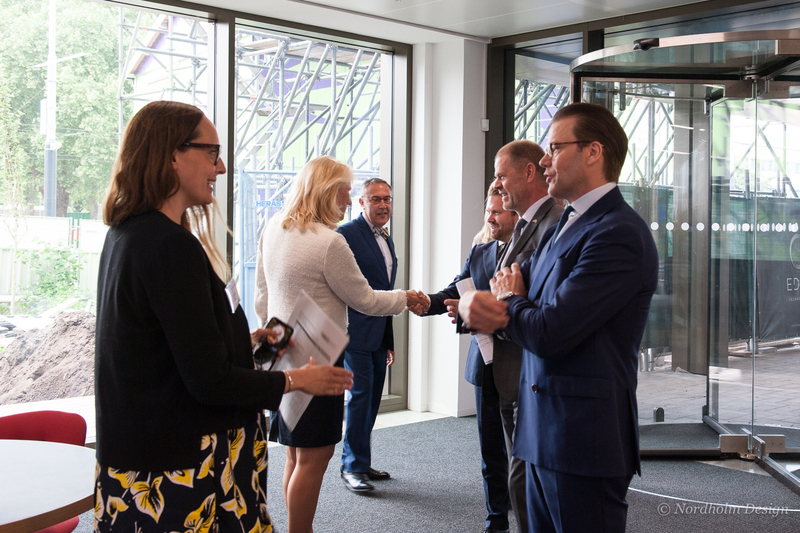 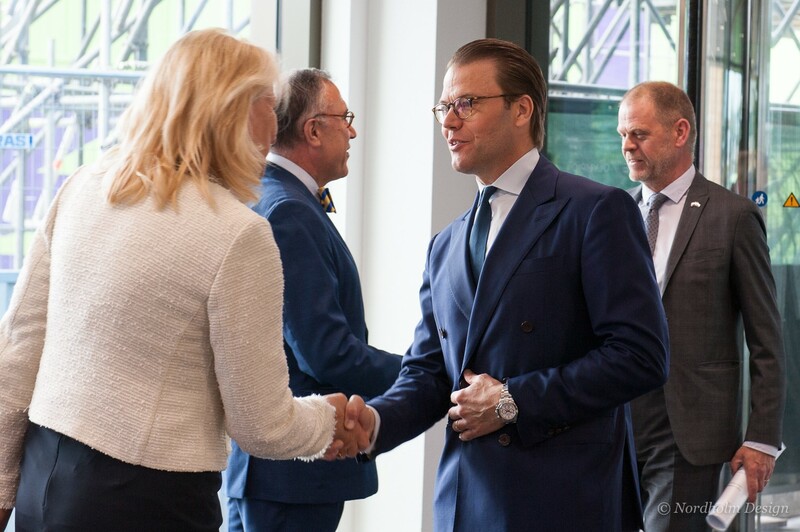 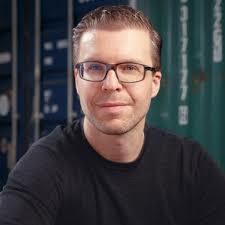 Prince Daniel is committed to enterprise and works to promote entrepreneurship among young people, eg. 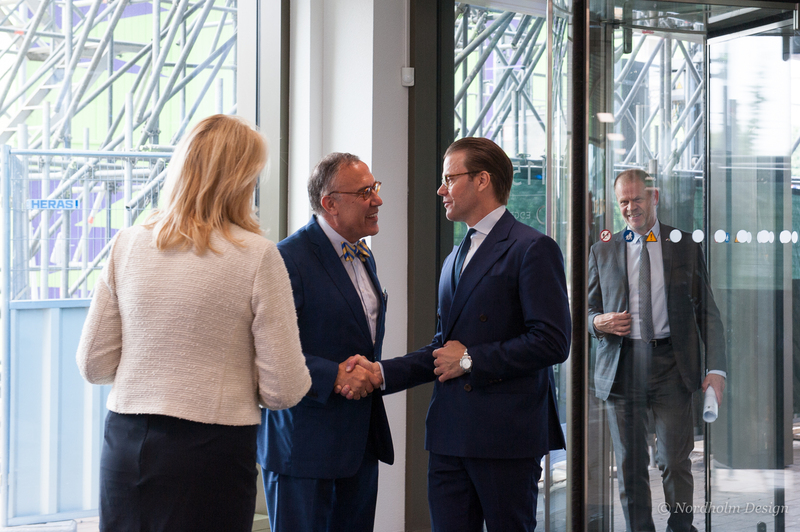 through the project Prince Daniel’s Fellowship. 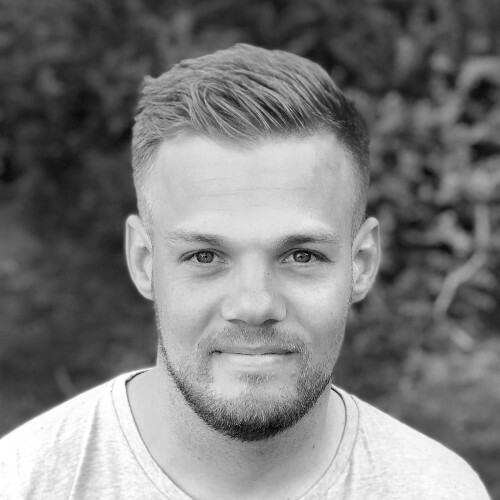 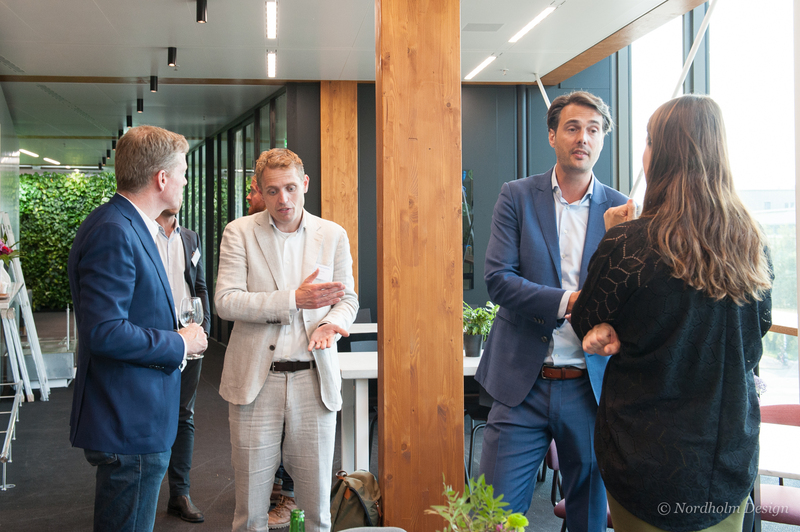 The idea behind the project is to inspire young people to become entrepreneurs and to support ambitious young entrepreneurs in growing their business. 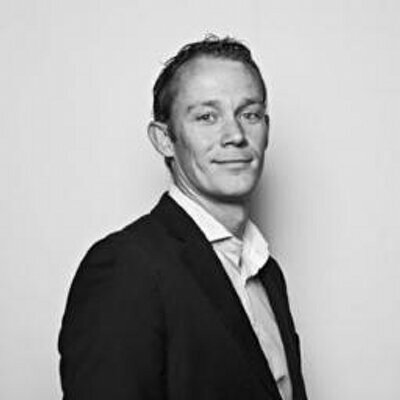 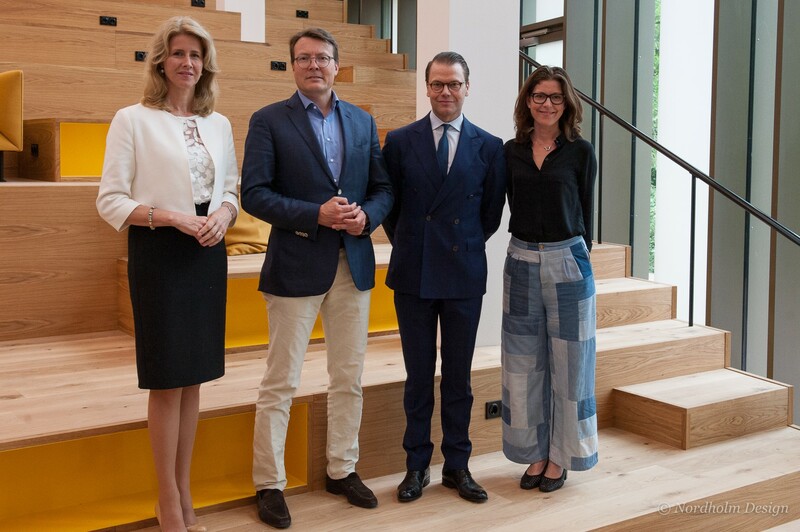 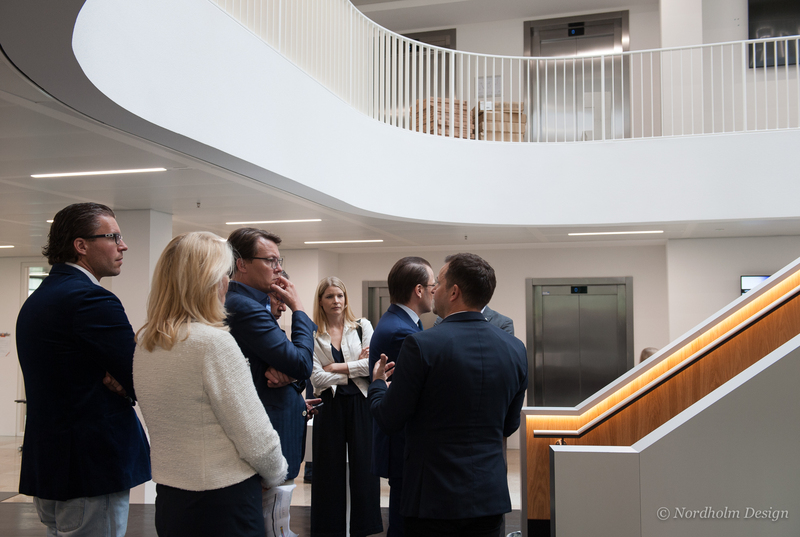 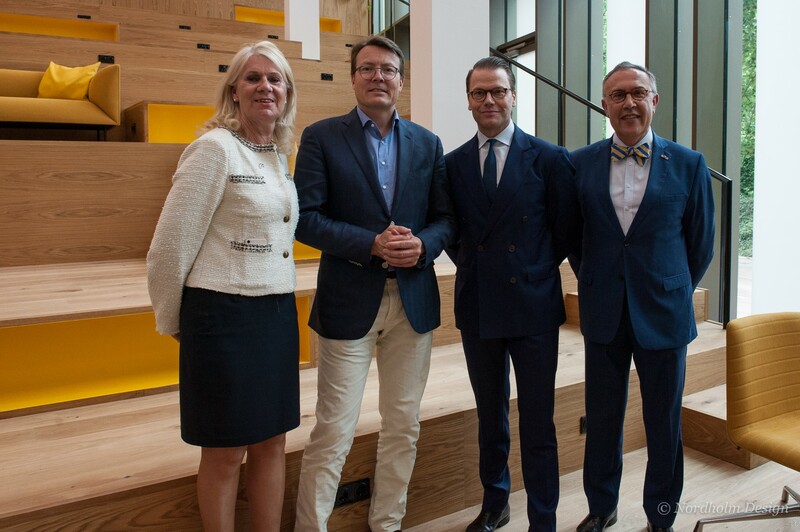 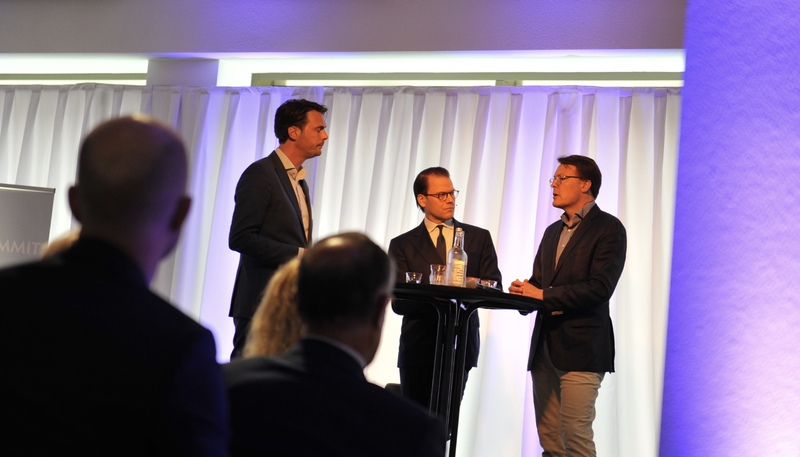 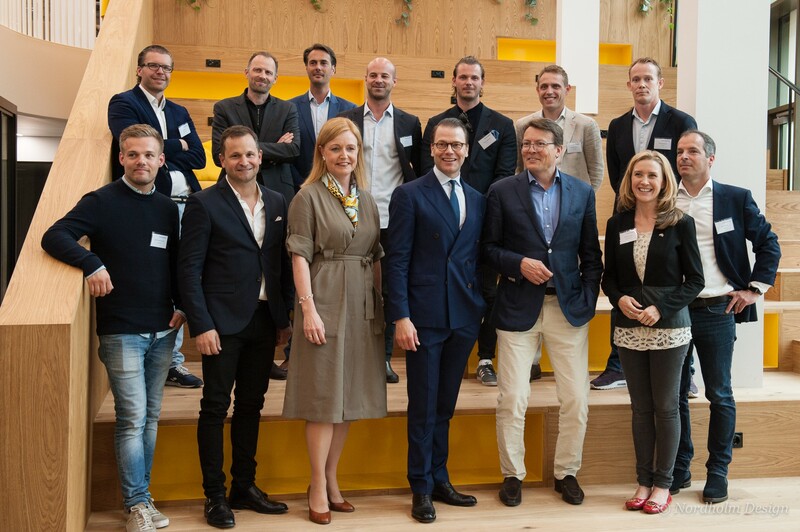 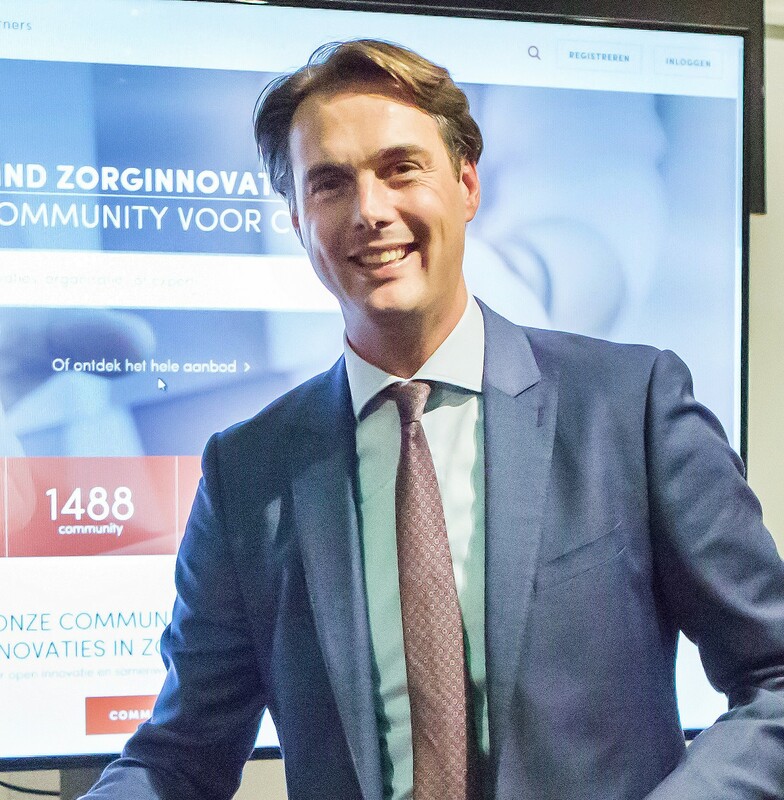 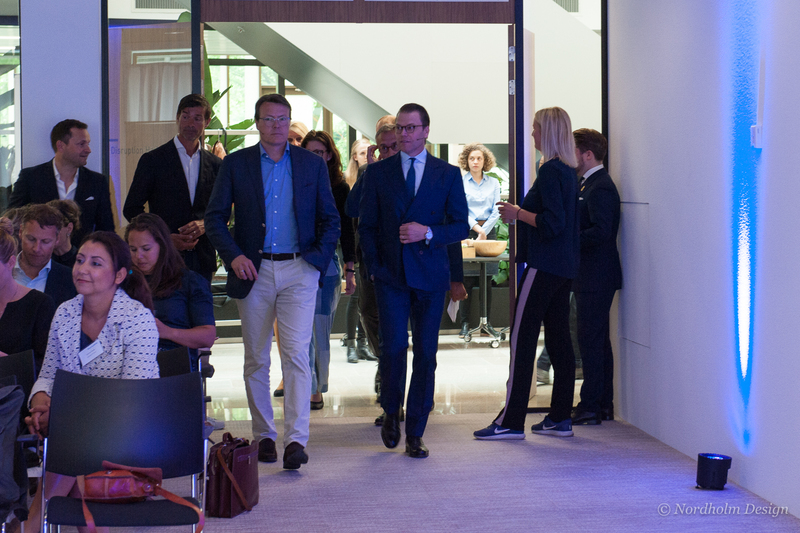 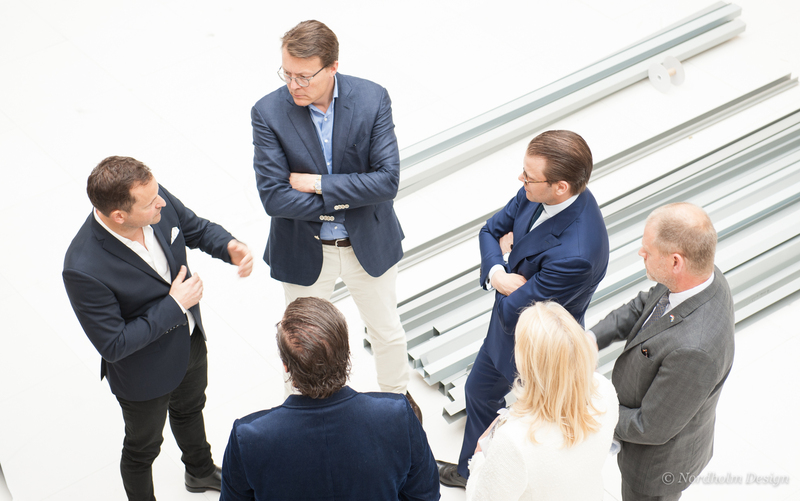 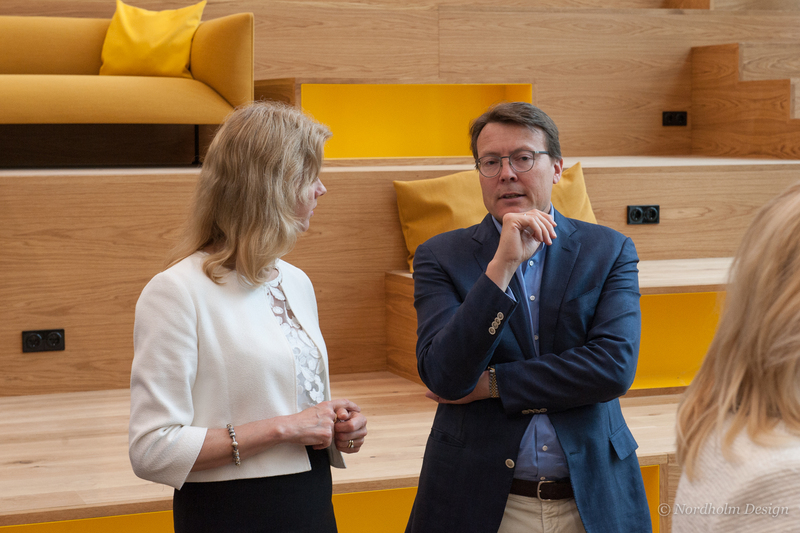 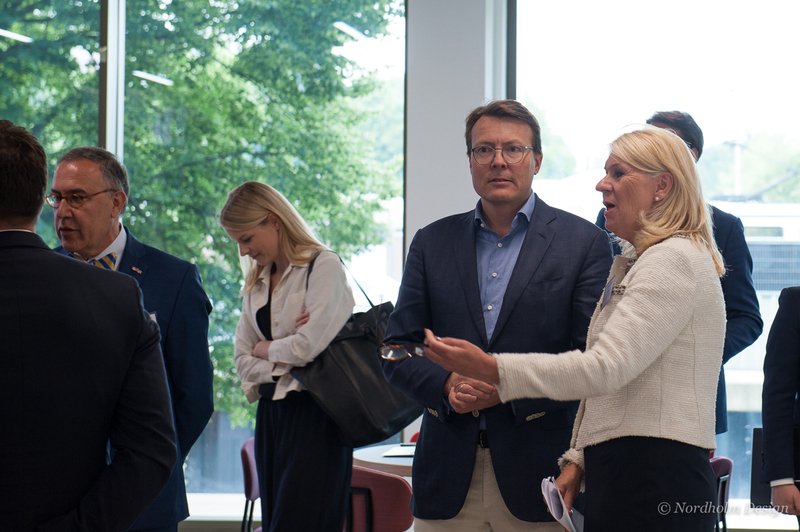 Prince Constantijn is Special Envoy at StartupDelta, the accelerator for the startup ecosystem in the Netherlands, and advises companies and the European Commission on their digital innovation strategies. 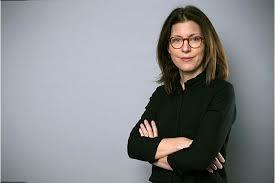 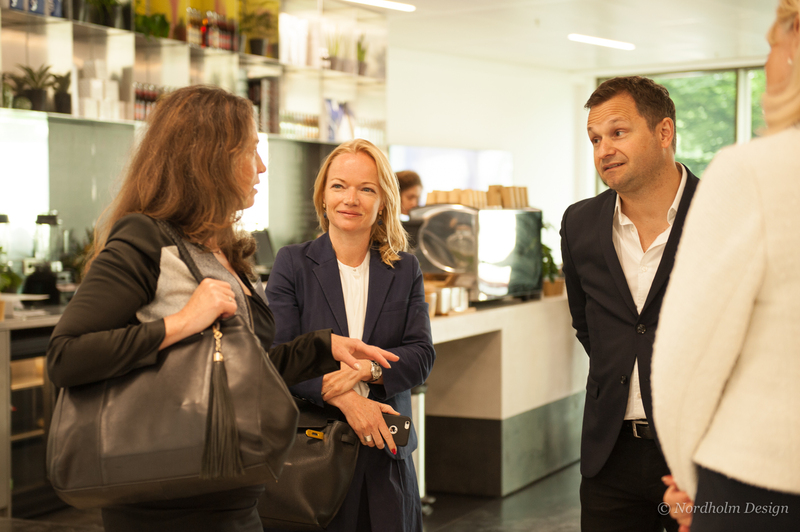 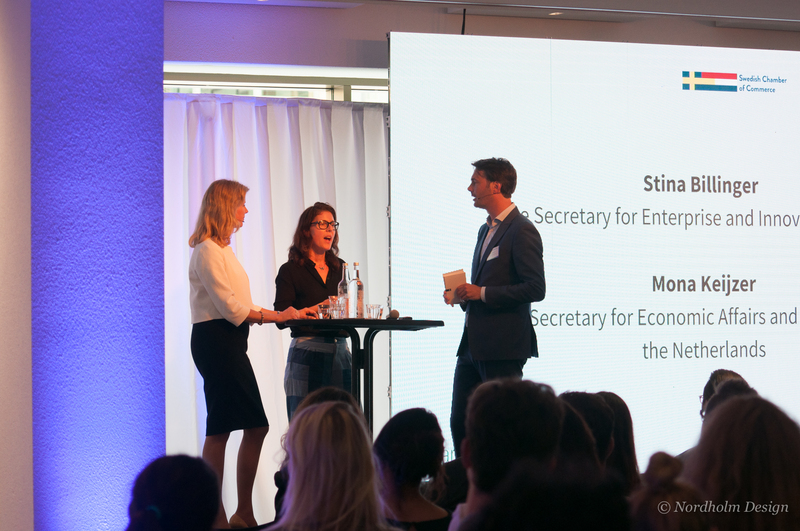 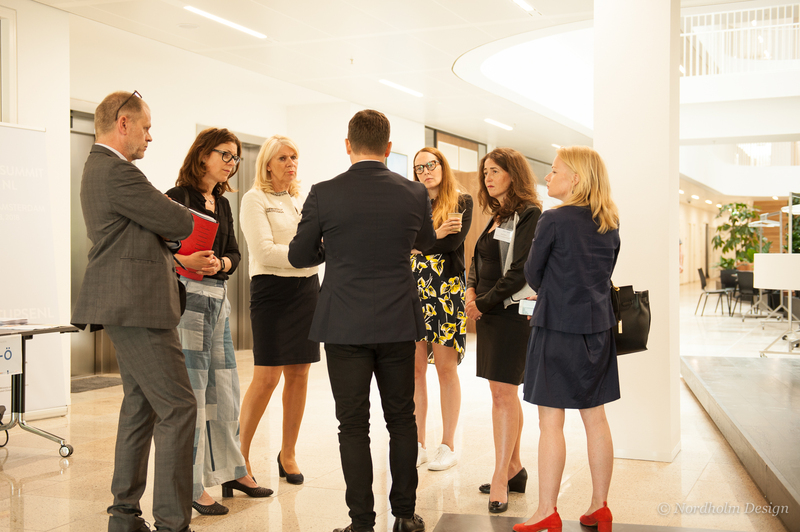 The Swedish State Secretary for Enterprise and Innovation, Stina Billinger, and the Dutch State Secretary for Economic Affairs and Climate Policy, Mona Keijzer, discussed how policymaking and financial support can help the startup sector flourish, and what the two countries can learn from each other. 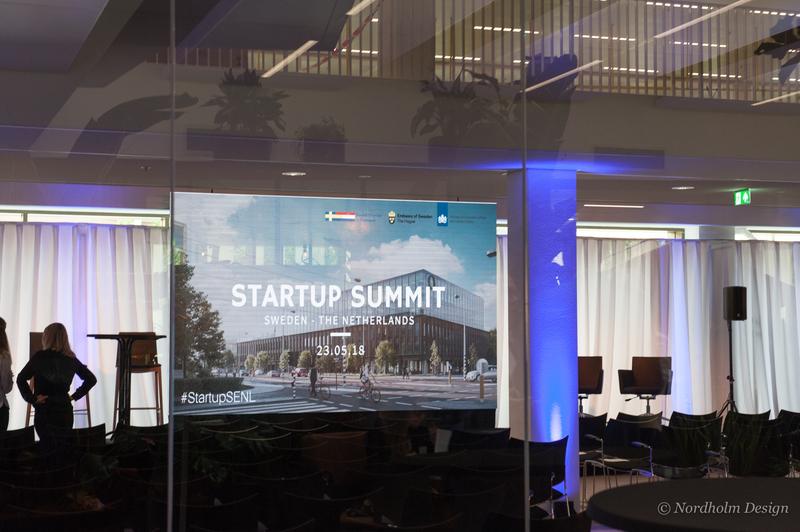 The event was the starting point for a long-term collaboration between the two countries within the startup sector. 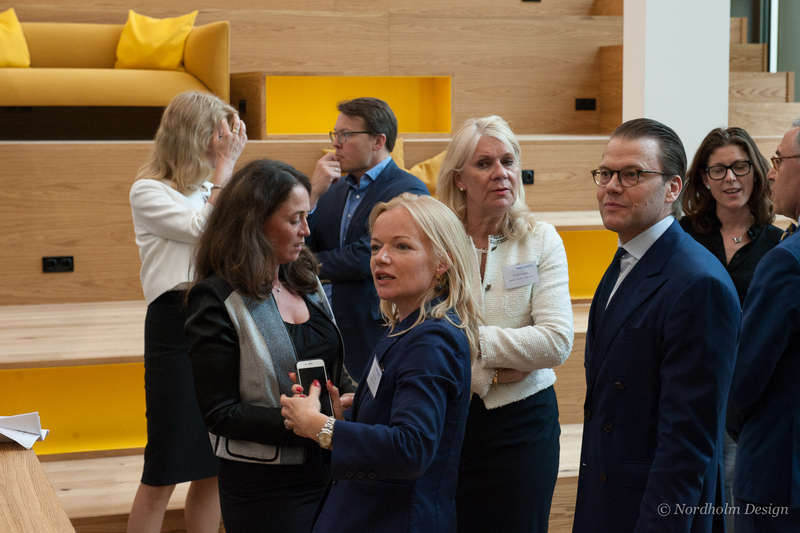 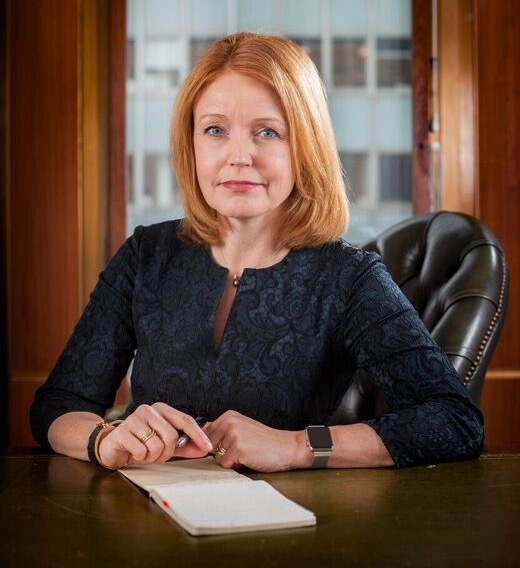 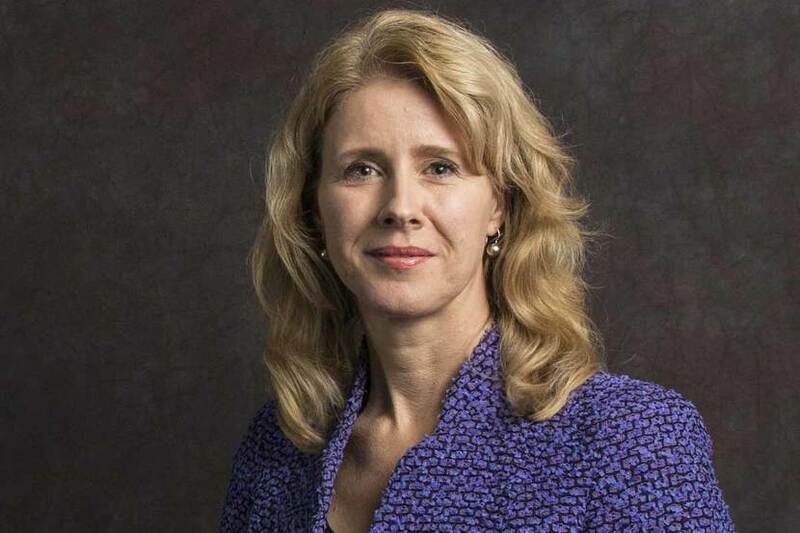 “One important factor for startups is gender equality – women cannot stay at home with the children and scale-up a company at the same time”, Stina Billinger, State Secretary for Enterprise and Innovation, Sweden. 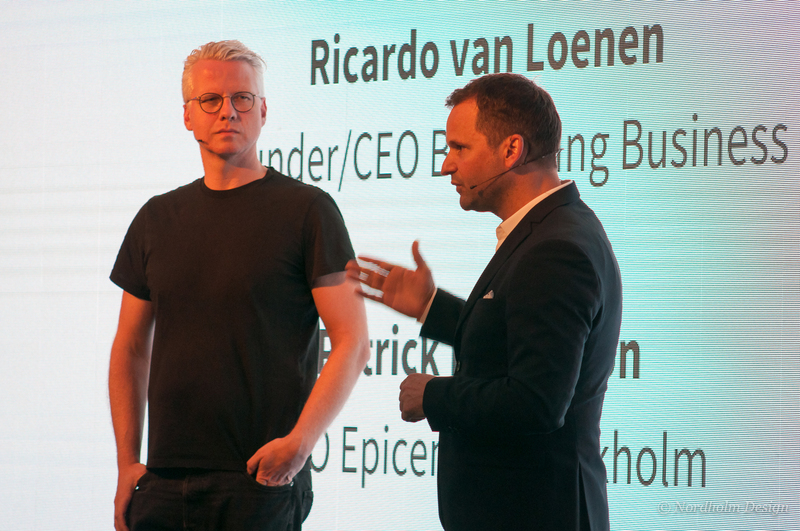 The summit was held the day before the opening of conference The Next Web, in the brand-new Amsterdam premises of Epicenter. 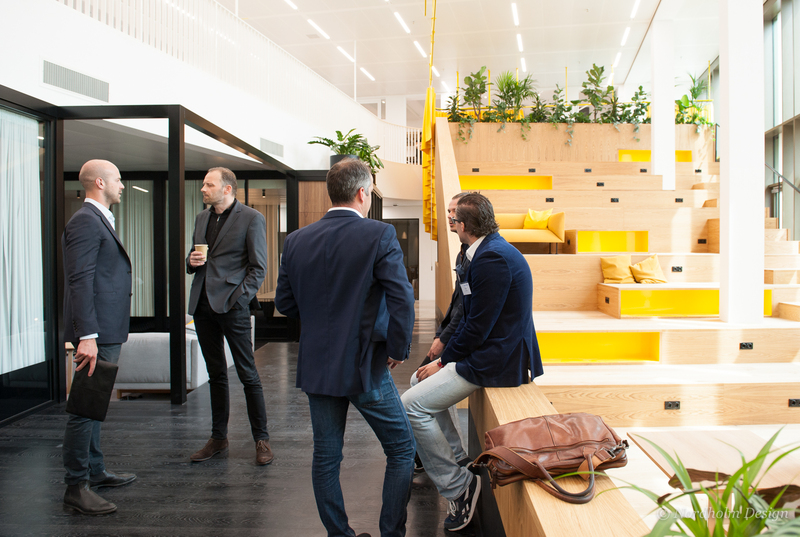 a digital innovation house and destination for large corporates and fast growing digital scale-ups looking to learn, inspire, collaborate, grow and innovate with impact. 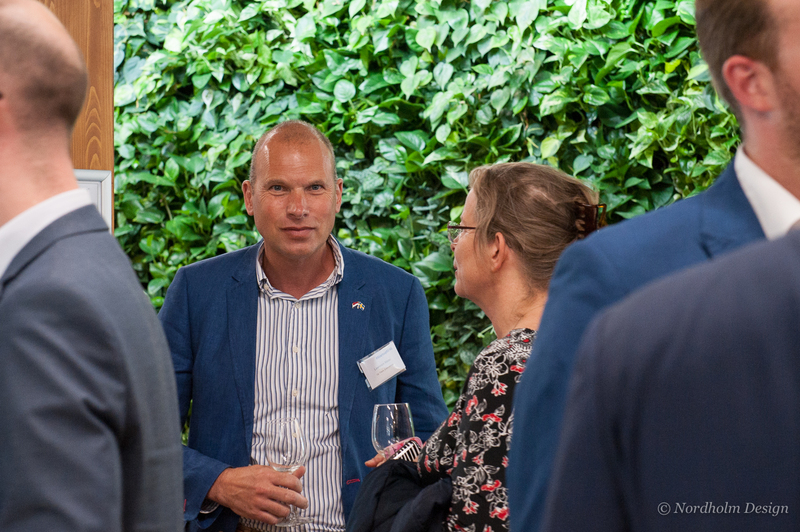 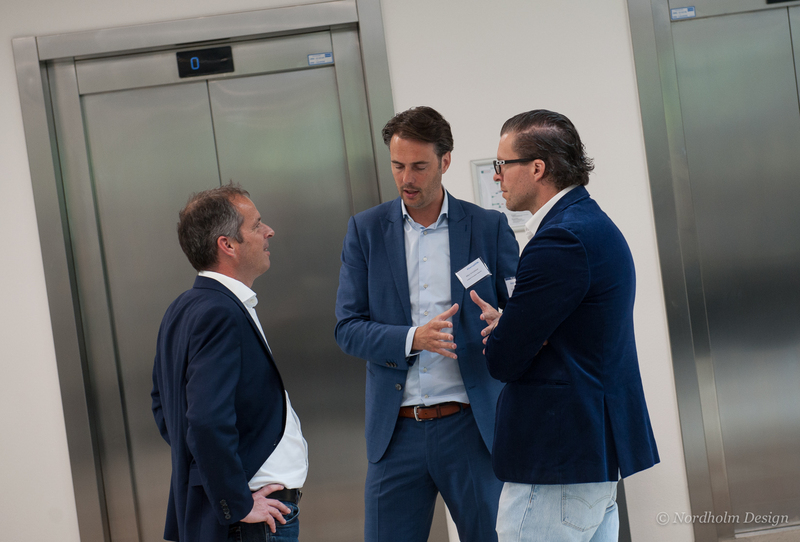 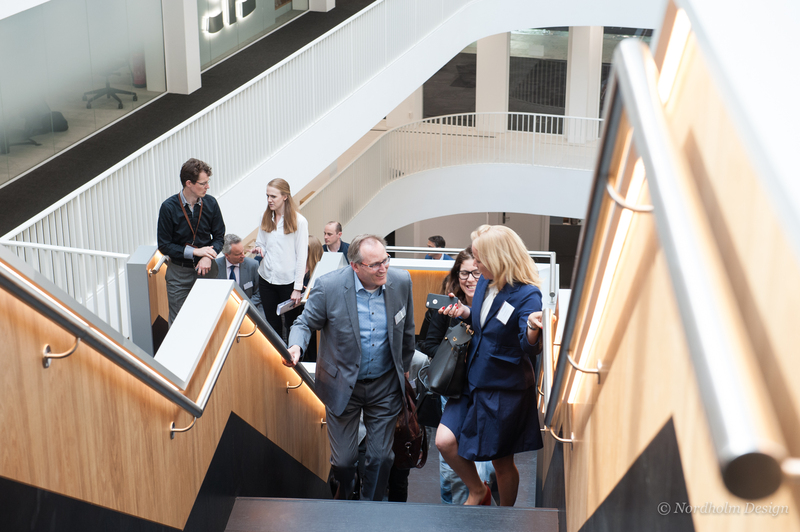 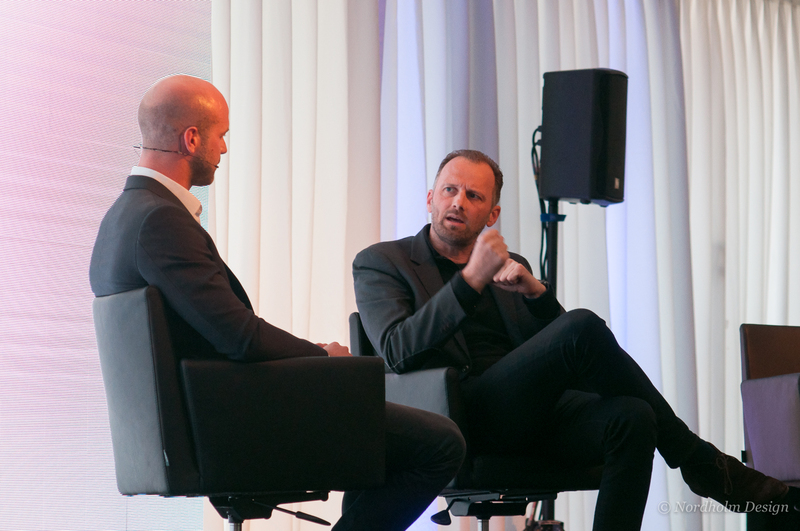 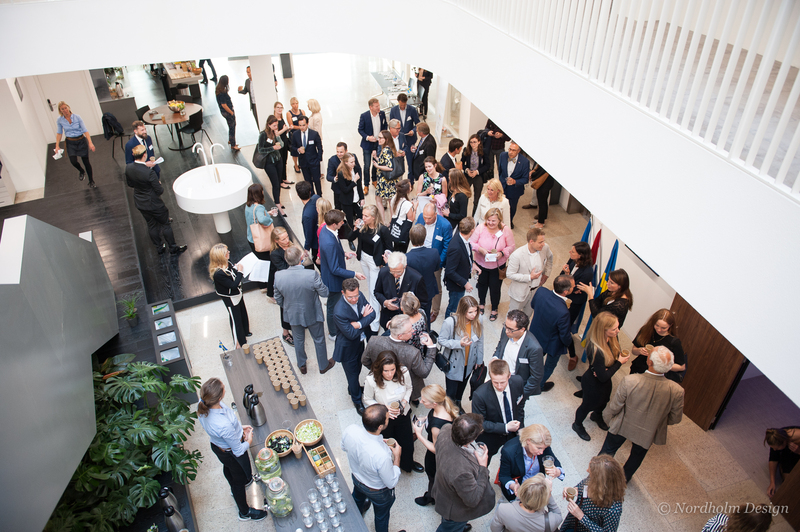 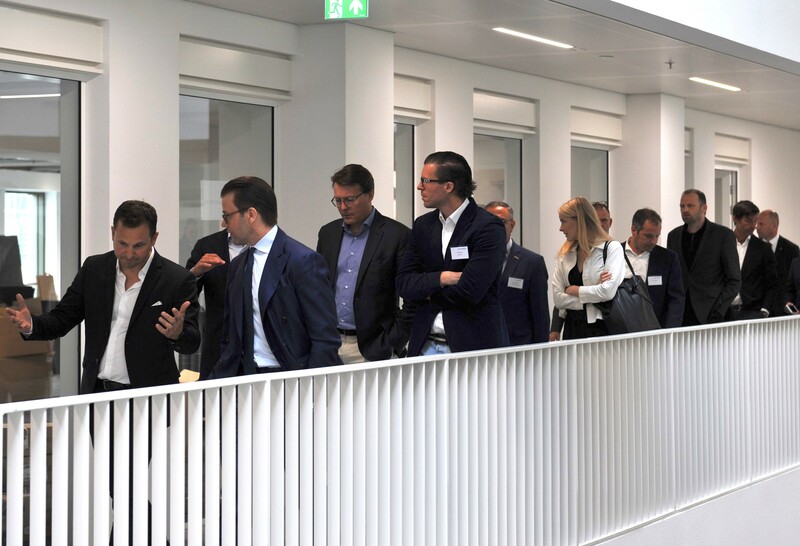 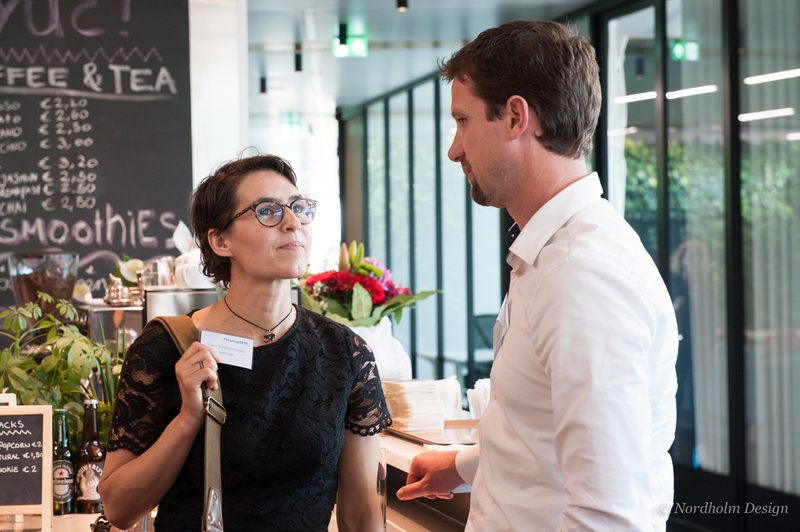 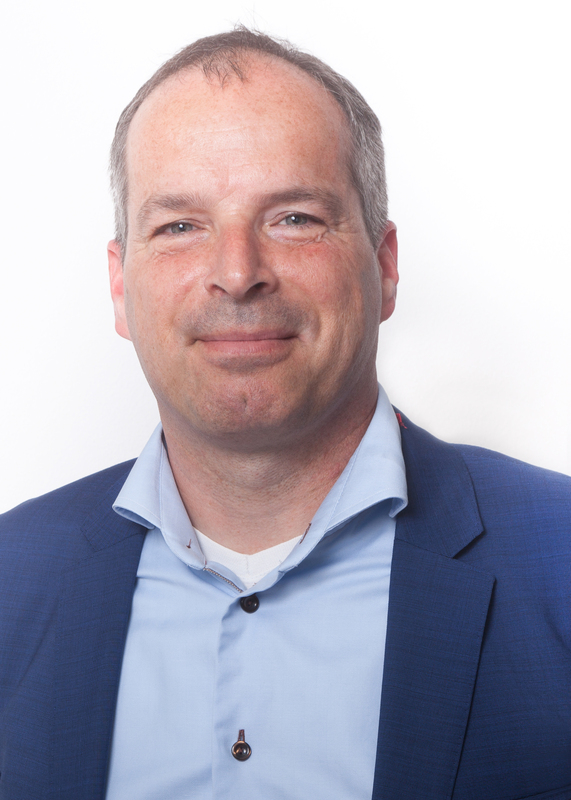 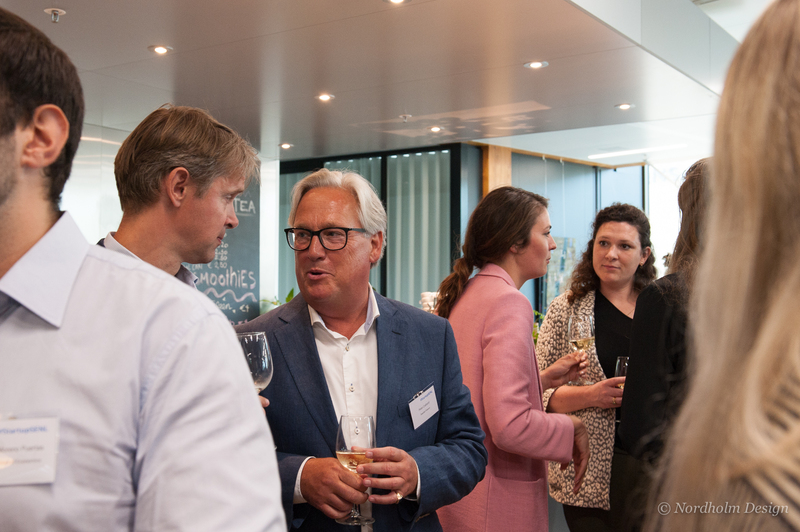 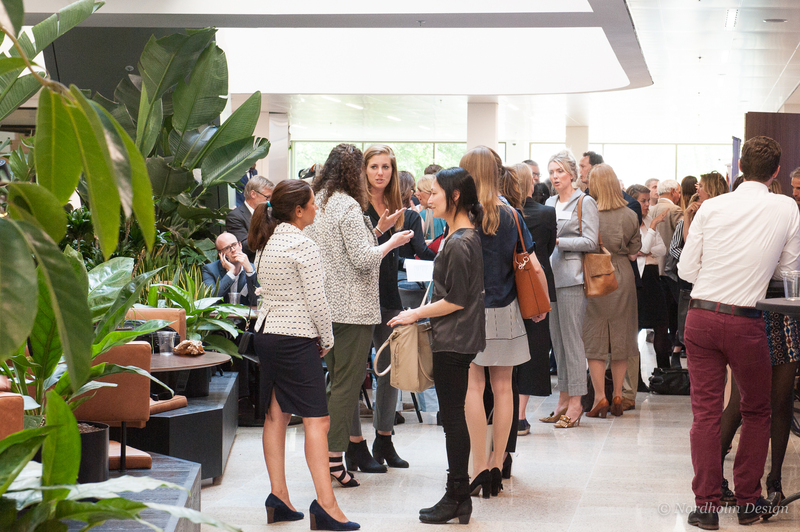 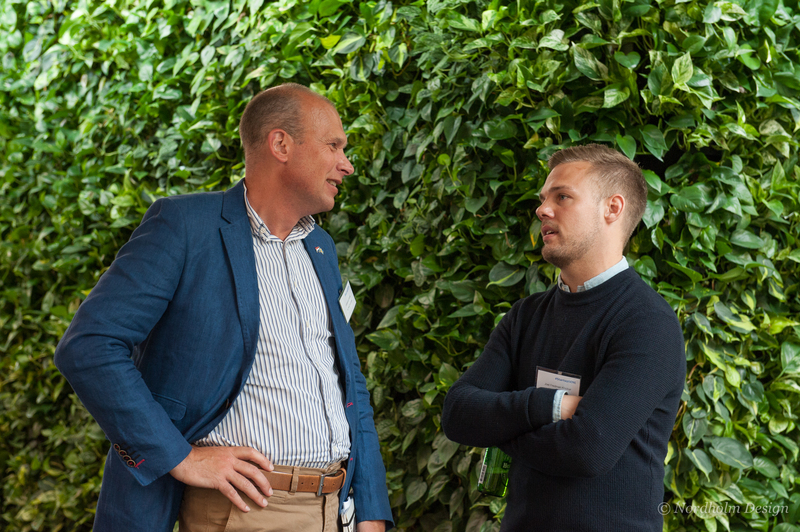 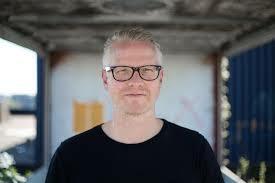 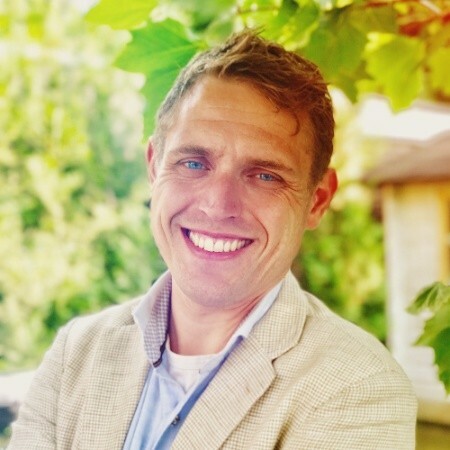 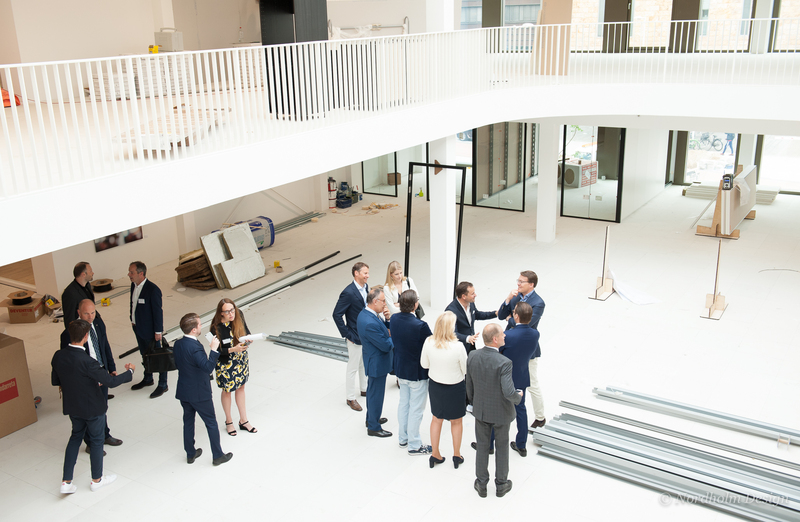 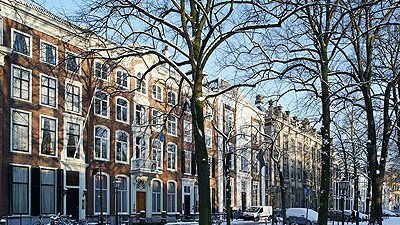 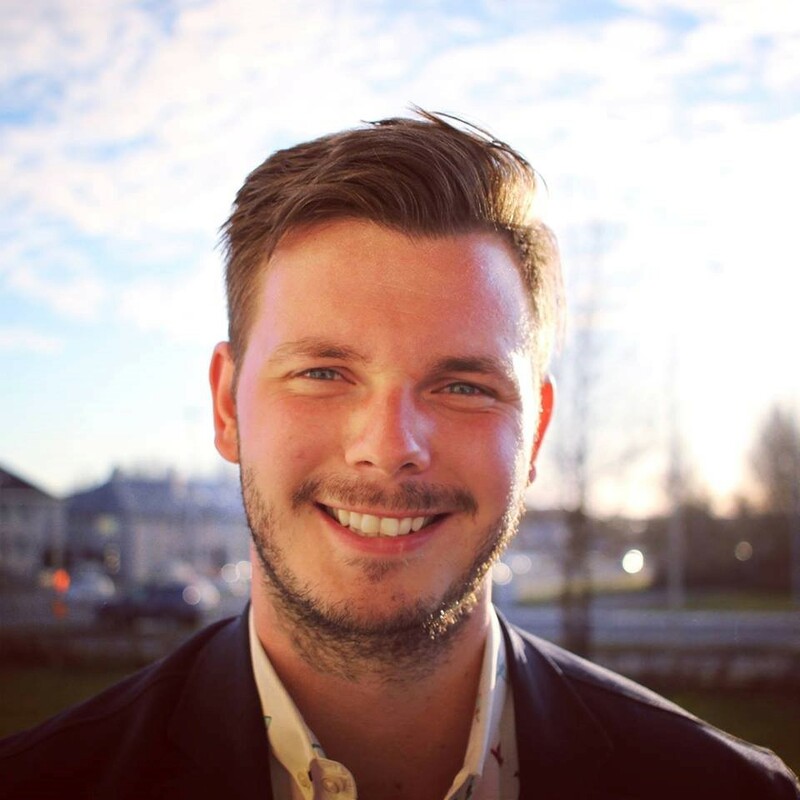 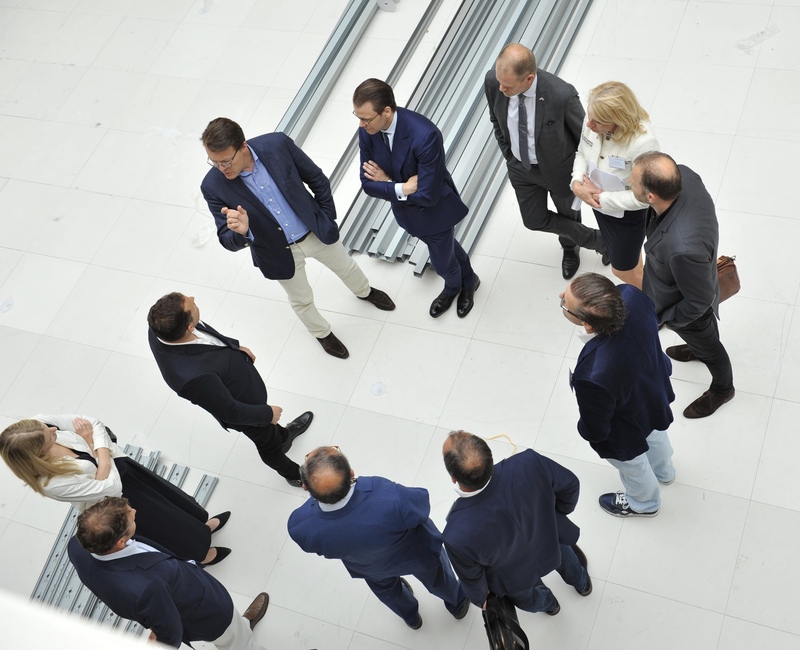 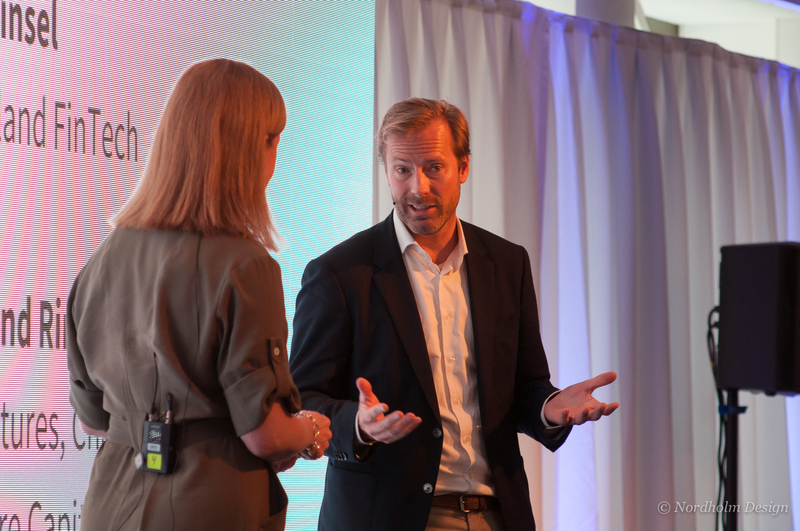 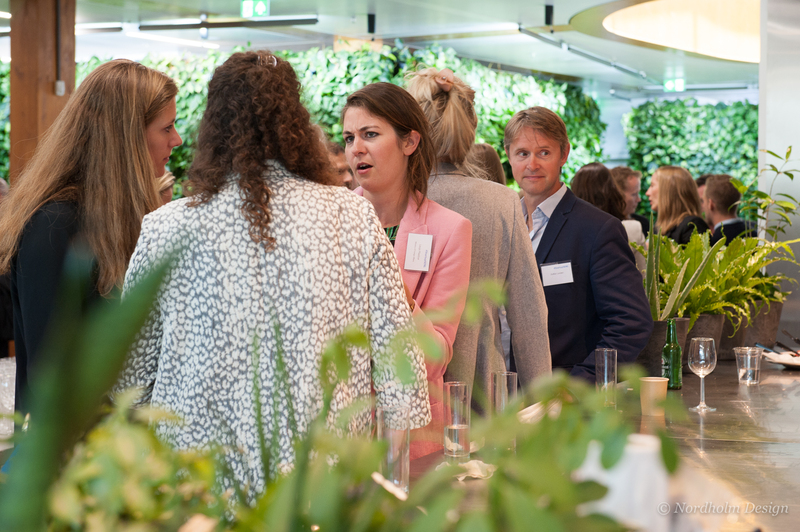 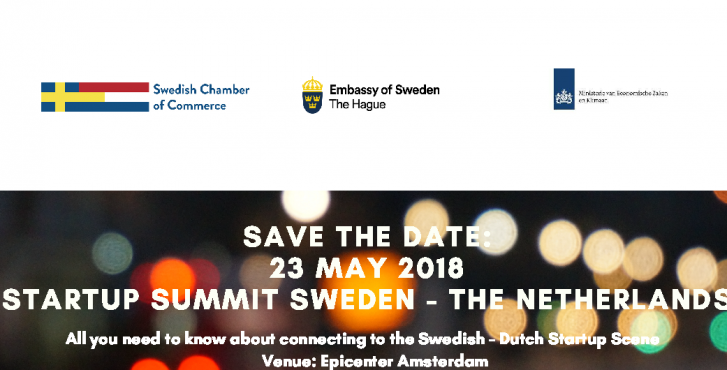 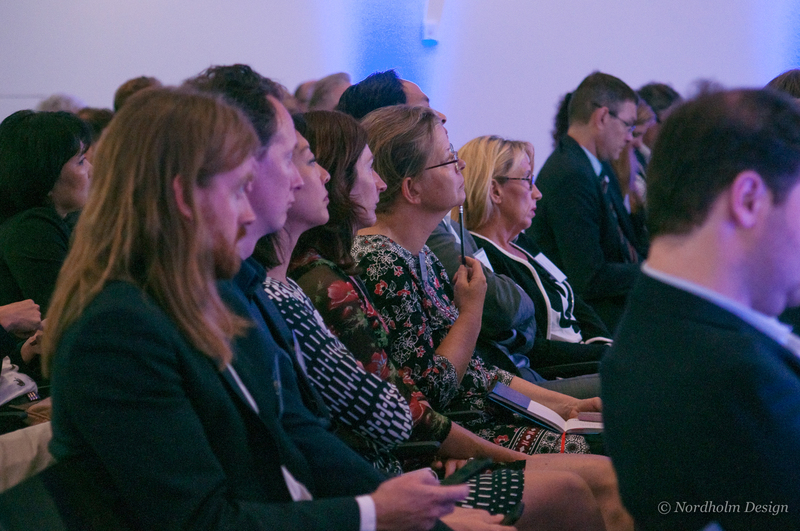 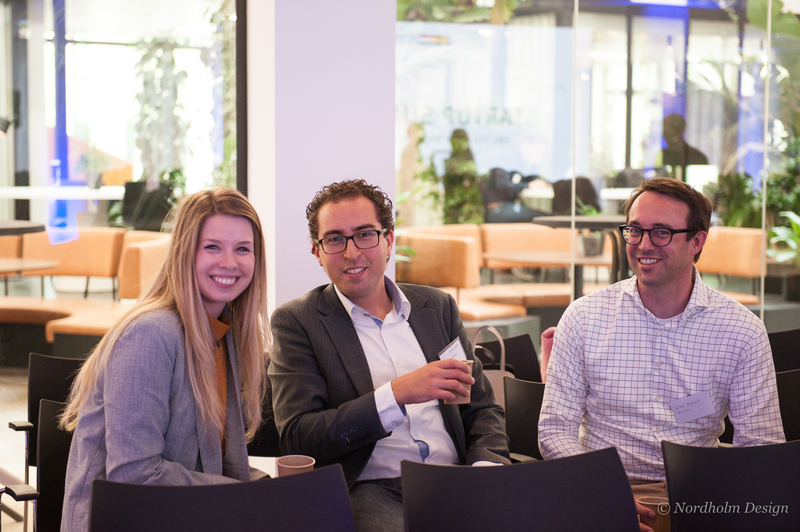 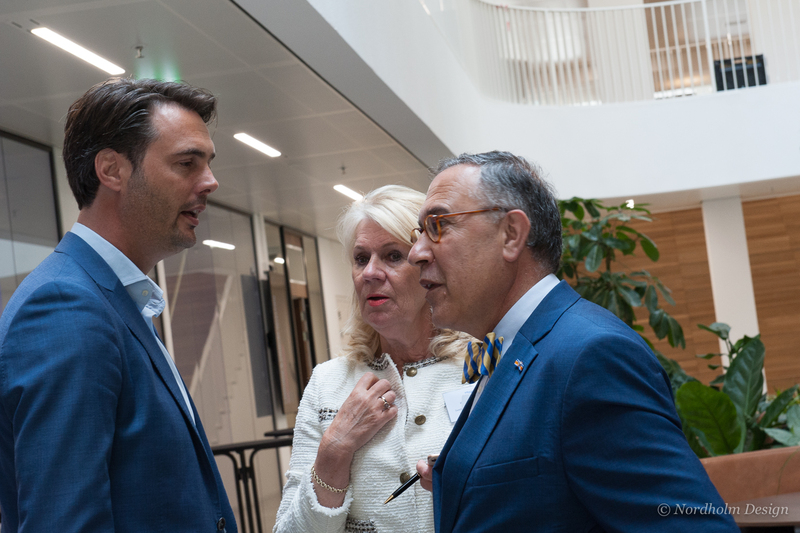 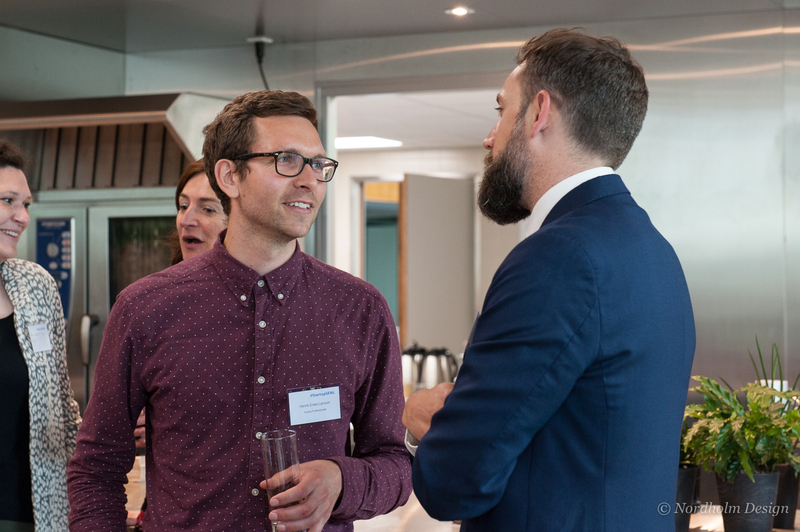 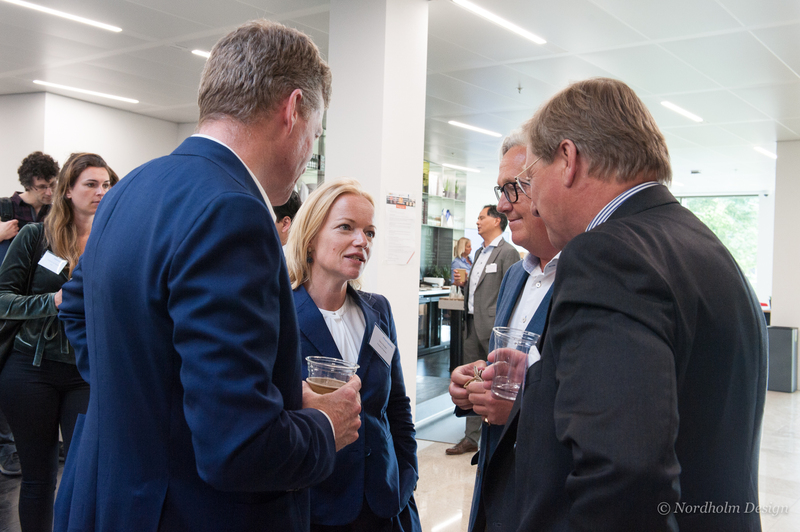 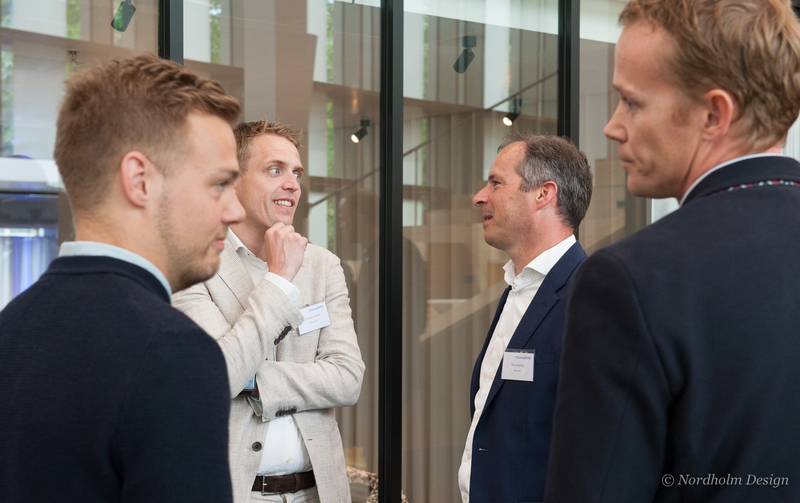 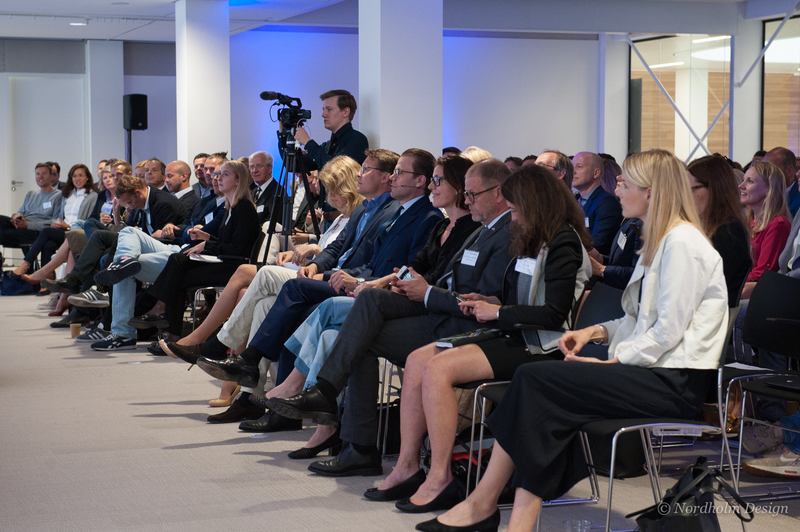 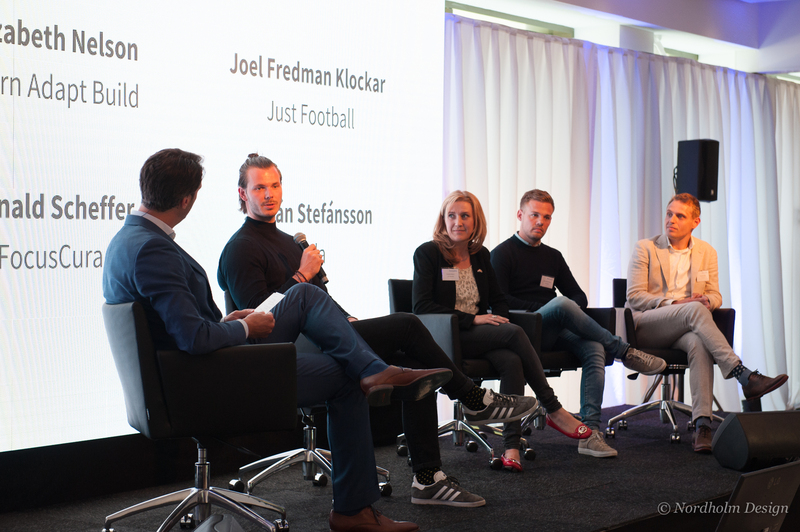 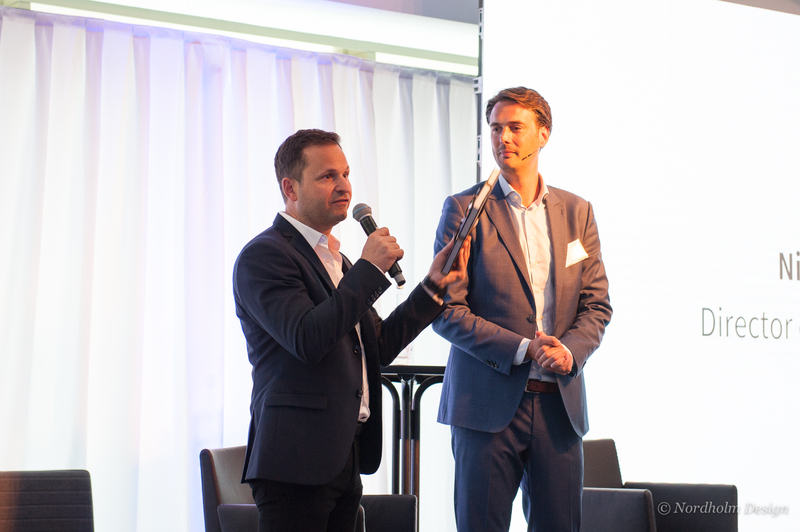 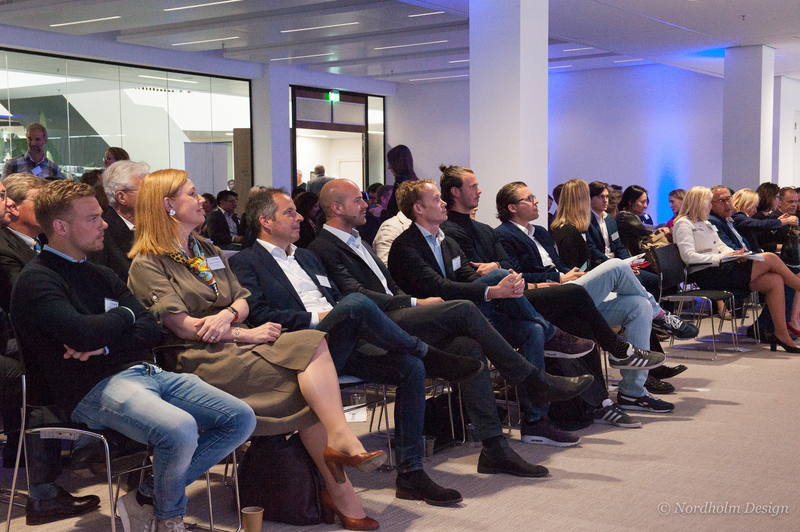 “Startup Summit Sweden – The Netherlands” was organised by the Swedish Chamber of Commerce, The Embassy of Sweden in The Hague and the Dutch Ministry of Economic Affairs and Climate Policy. 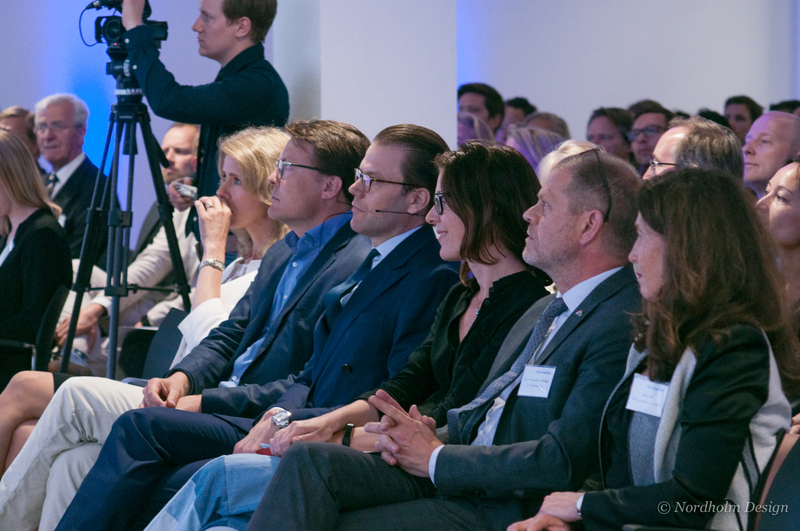 Welcome to scroll down to the end of the page for event photos. 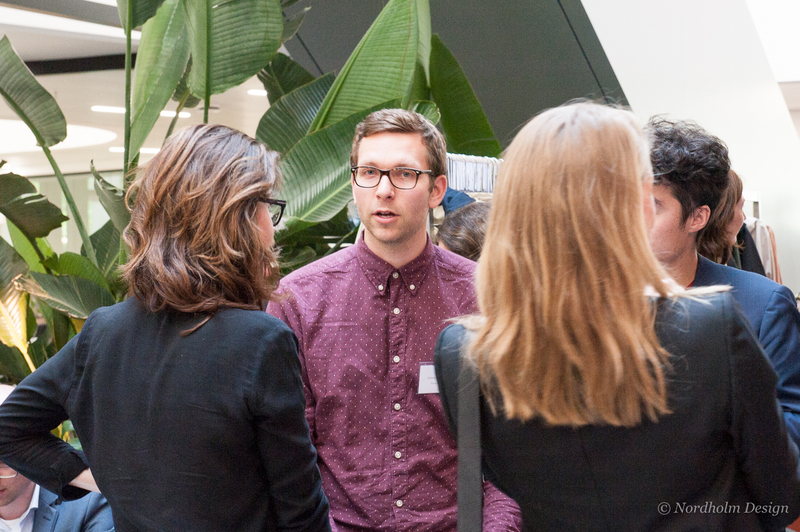 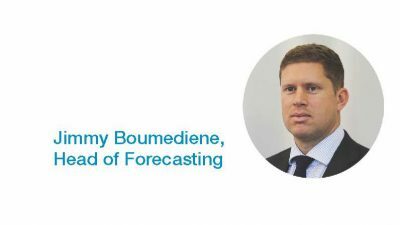 Learning from the study: How can policymaking and financial support help make the startup sector flourish? 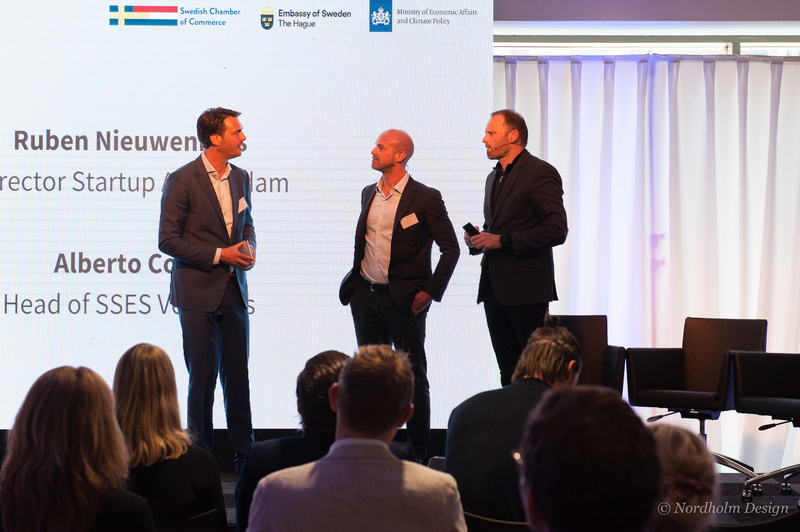 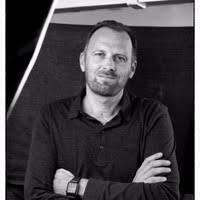 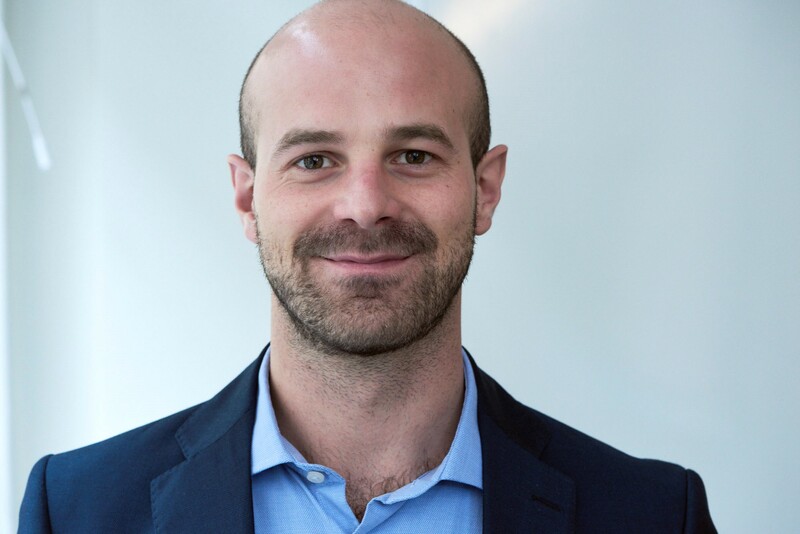 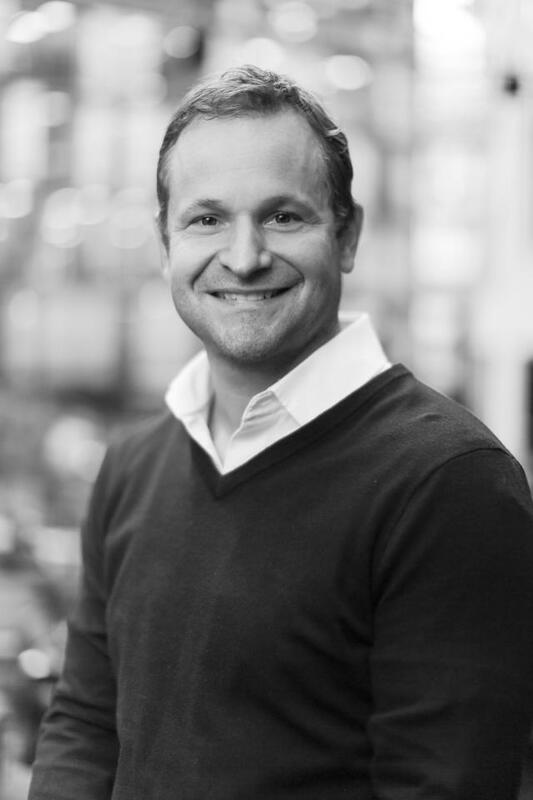 On internationalization: Their journey and lessons learned! 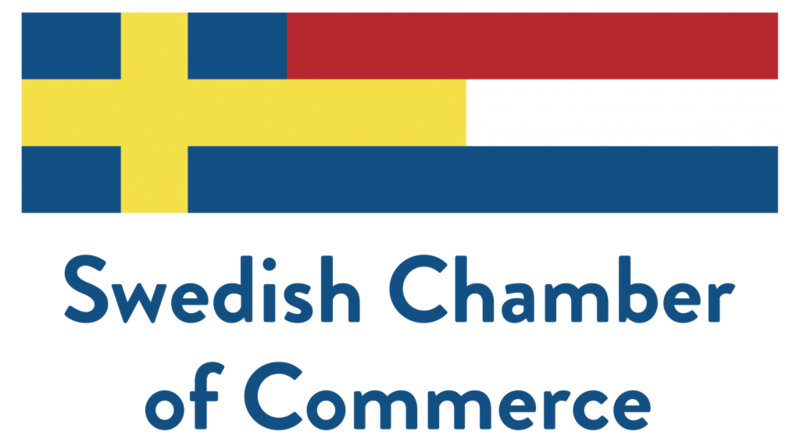 This event was offered to you free of charge with thanks to our generous sponsors.